Welcome in for another episode of the podcast. Today’s episode features a lot of projects and people with real heart. My heart is pretty full this week. I did not start the last episode lightly with my statements about embracing positivity (and neither do i care how many folk went bye-byes after it) but thank you so very much to everyone who got in touch to go “YAY! POSITIVITY!” and were so supportive. Thank you. AND! The Woolly Muckers sponsorship spots sold in a minute flat! THANK YOU! I very much appreciate that and I am bowled over. I am really looking forward to introducing you to Mazzy, Alison, Maylin, Susan, Sue, Lesley, Anthea, Emma, Barb and Christine to you, on the podcast over the next year. 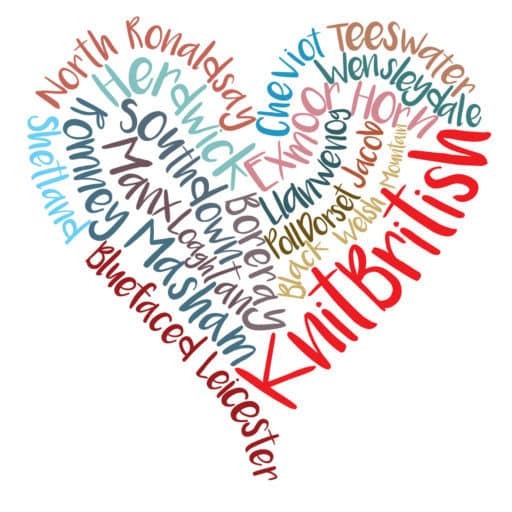 The KnitBritish Tote bags will be going on sale soon. Please be patient! Podcast Lounge planning, article writing, day job and other plotting and scheming is just at a high at the moment and I would be silly to open the shop at this moment. I will announce the date they go on sale. Your tote bag will hold a big old project bag and other items *project bag NOT included! To mark a decade of Old Maiden Aunt yarns, Lilith Green has produced an incredible book, which is both a love letter to Scotland, particularly her family home in Galloway, and celebrates OMA yarns and colourways in six accessory patterns, by designers Kristen Kapur. Ysolda, Bristol Ivy, Rachel Coopey, Felix Ford and Anna Maltz. The photography in the book is by Jeni Reid. Jeni has such an eye for detail when it comes to capturing wool and textiles, and there is such a lovely symphony between this and the landscape, in Kendoon, Galloway. There is an incredibly warm, homely and soulful vibe exuding from the book, the images and the designs. The model is the beautiful Jules Billings, aka Woollenflower, and she is just stunning in these designs. 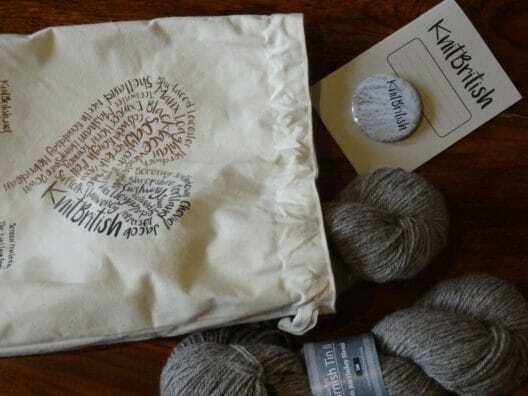 In addition to the knitwear, there is also a pattern for a felt notions pouch, by Lorna Reid, aka Chookiebirdie designs, a beautiful essay from Lilith and a recipe from Clara Parkes. 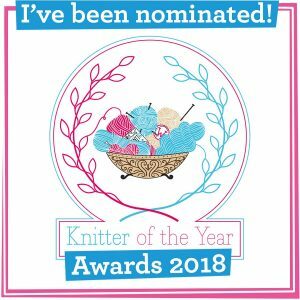 All of the designs are immediately cast-on-able, with something for everyone – colourwork, lace, squishy garter, cabling… and it is so lovely to see them showcase Lilith’s yarns. 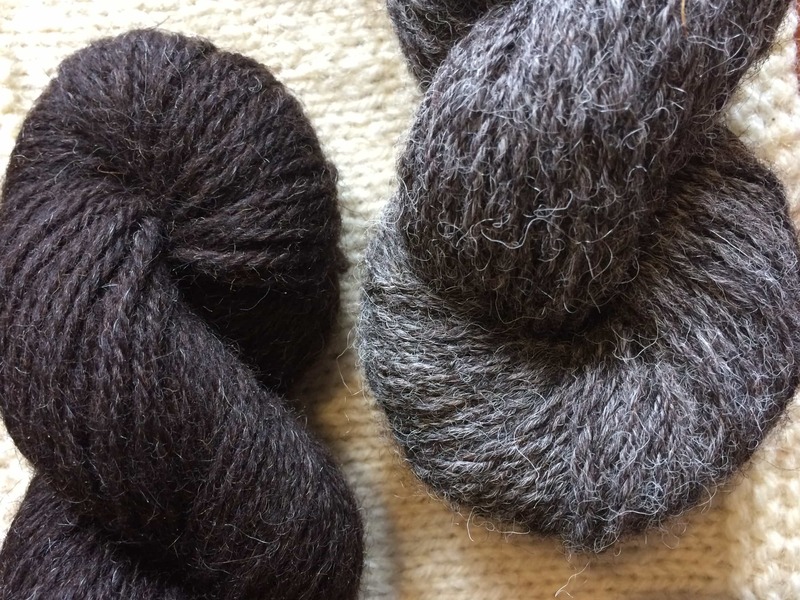 I’m particularly eager to cast on the Inchgarvie shawl, by Ysolda, which has been knit in a new exclusive colourway, ruanaidh, of the Shetland 2ply. Coming Home is a wonderful book, you will want to sit and enjoy Lilith’s writing and Jeni’s photography (with a slice of Clara’s cake) and you are going to want to knit all of these designs. Pre-orders are open now at oldmaidenaunt.com, the book costs £18 and orders will be shipped mid March. There are also designated collection times, if you can pick up your pre-ordered copy at EYF. Lilith will be on stand K7 in the marketplace. 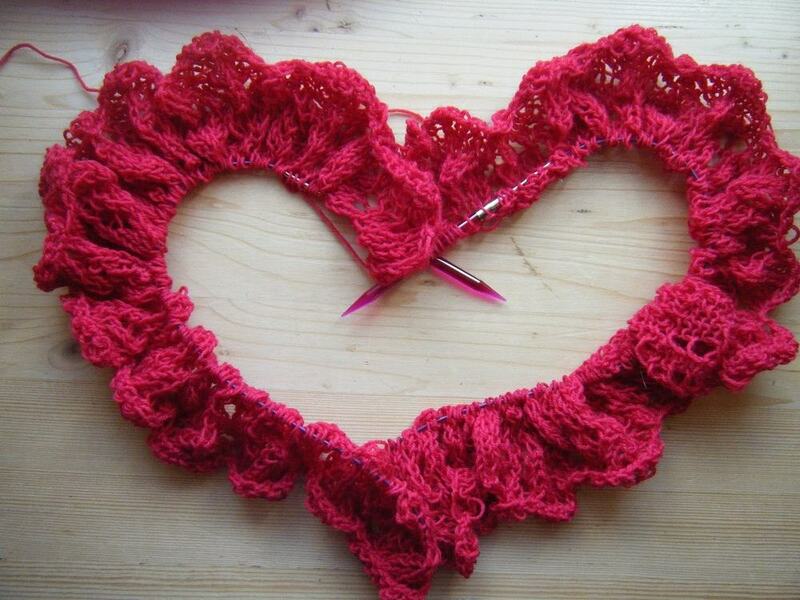 This week, on Valentine’s Day, Tin Can Knits released the Heart on my Sleeve ebook. This is a collection of 8 yoke sweaters by 9 designers, including Ysolda, Bristol Ivy, Joji Locatelli, Romi Hill and Alexa and Emily themselves. The entire proceeds from the book (apart from Ravelry and paypal fees) is going to the Against Malaria Foundation. Malaria is a completely preventable disease, yet it claims half a million lives per year. By buying the e-book your money will go towards buying nets – which cost about $2.50 each – and which will make a huge difference to people’s lives. I always say that there is a whole lot to love about Tin Can Knits – the sizes range, the layout of their designs (unfussy, as succinct and as informative as possible, they have great back up info with online tutorials and they really get the kind of garments that suit a range of body types as well as producing designs that really keep our interest throughout; Heart on my Sleeve is no exception and the fact that they have teamed up with some awesome design buddies to it is raise money for a really worthy charity is incredible. Well done, guys. The Heart on my Sleeve ebook costs $18. It is only available in this format and it will only be available for a year, so do add it to your Ravelry basket and checkout! Online Advance tickets sales for the festival have now ceased. If you are coming to EYF and do not have an advance ticket, you will have to queue for them at the venue. You can read more in this locked thread in the EYF Rav group. 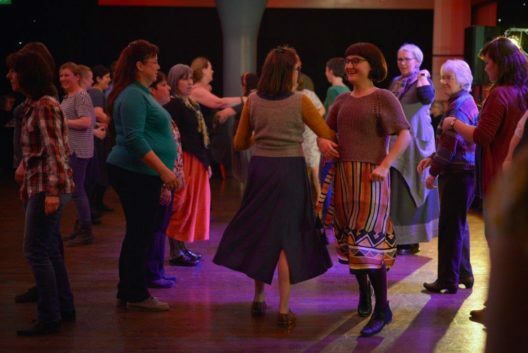 Tickets for the Ceilidh on the Friday evening have also sold out and did so in even more of a record time than last year, in just a minute! who will be attending the festival. This, teamed with the fact that Jo and Mica really know how to put on popular and well organised events, means that demand was always going to be high. 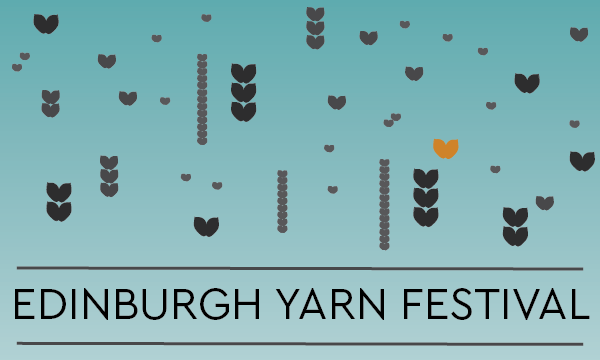 The lovely and very kind Hannah has outlined some other events that weekend over in the EYF rav group, but…really…you are coming to Edinburgh, I am sure you can find one or two things to amuse you. I’m a bit disappointed to hear and read that some people have been a bit bitter about not getting tickets. Edinburgh is a great city to visit and there are lots of things to see and do and plenty of pubs and clubs too. The programme for the Podcast Lounge is up at the EYF Website and you can download your own pdf copy here. We have a bit of a theme this year called Let’s Make a Podcast. Each day at 3pm we will be challenging wannabe podcasters to get recording! You definitely do not need any big or special tech for this. Just your phone or your regular camera will be fine. Most phones will have some sort of voice recording app and there are plenty of free or reasonably priced ones in the app and play stores. No need for big mics and things – we really want to stress that you can get started with the tech you already have. You will be challenged to go off and ask festival goers about their purchases or their knitwear, you can ask them about their favourite yarn, designer or their first knitting memory, but I am also working on one or two special guests for you to interview too, in the lounge. I keep hearing of people who want to try podcasting and also of podcasters of smaller shows not feeling able to call what they want to do a “real podcast”. What is a real podcast anyway? You record, you film, you edit (well, some edit (i wish more people edited!)) and you broadcast it. That is a podcast, people. Own it and do it as well as you wish to. Ahead of EYF I plan to do another post with a few tips and hints, but the events in the lounge are all about showing how fun it can be, so the emphasis will be on that! If you are looking for info on starting a podcast there are some links here – those are just a few things that came up in a google search, so there is a lot of info out there and it is worth doing a bit of your own research if you want to start a vlog or podcast. How are your WIPS? We have lots of finished items and some heading towards the finish line. There are 2 weeks left, so don’t despair if you’ve not finished and…We’ll there is still time to join in too! 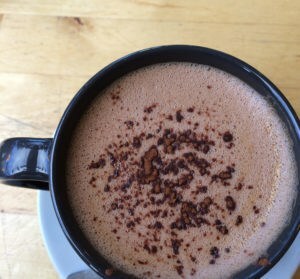 Check out the chat in the Blacker Rav group. I rose to my own challenge and made it to the border by this episode. I LOVE how the Tamar knits up, this is the first time I’ve knit substantially with it and I really am enjoying the experience. We are having a meet up of KALers at the Podcast Lounge on Saturday 11th at 11am. Do come over with your FOS (or your WIPS!) and see you there! Thanks for listening, I’ll be back with the podcast on the 3rd March! Music: Carefree by Kevin McLeod and Singin’ in The Rain (demo) by David Mumford – Both are on FreeMusicArchive and are both shared under Creative Commons Attribution license. Images are copyright to those attributed in the caption, otherwise they are mine. All books reviewed were given to me free in exchange for an honest review. I have made a donation to Against Malaria Foundation. If you are so inclined to do so (Malaria nets cost $2.50 each and will help protect two people) click on the linked text.